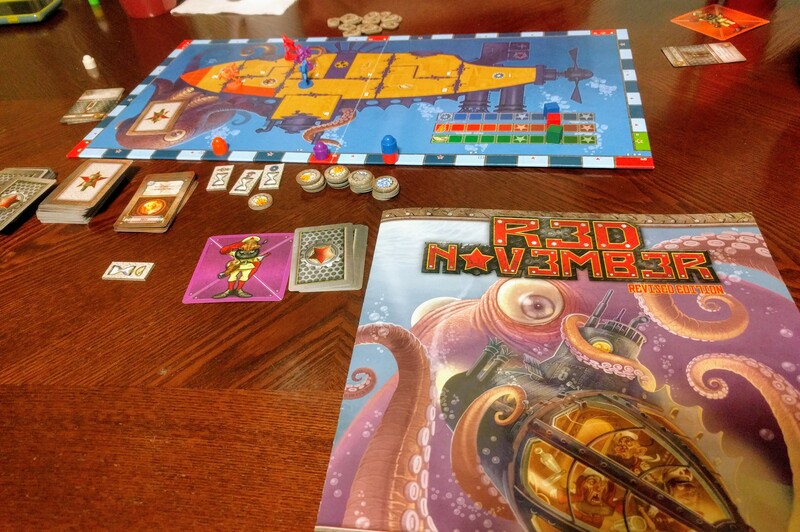 Back from the Shelf: Survive: Escape from Atlantis! Do you want a great family game that will make your children cry? Survive: Escape from Atlantis! is just that. The island of Atlantis is sinking, and it’s your job to get your people to safety. It’s important though, as in the classic hypothetical lifeboat scenario, some people are more important than others. Each of your people are worth a point value from one to six and you have to remember which one’s are worth the most when placing them at the beginning of the game. 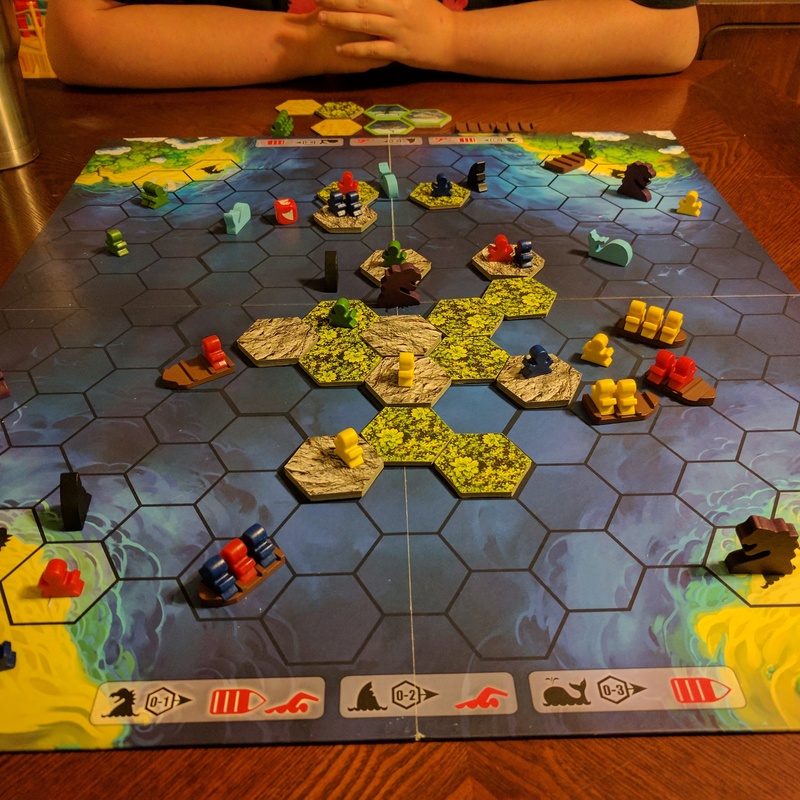 Throughout the game, the island of Atlantis will sink, forcing your people to swim to shore, and sea creatures will show up to wreck your boats and eat your people. On a positive note, dolphins will randomly appear to help your swimmers (which normally move incredibly slow). 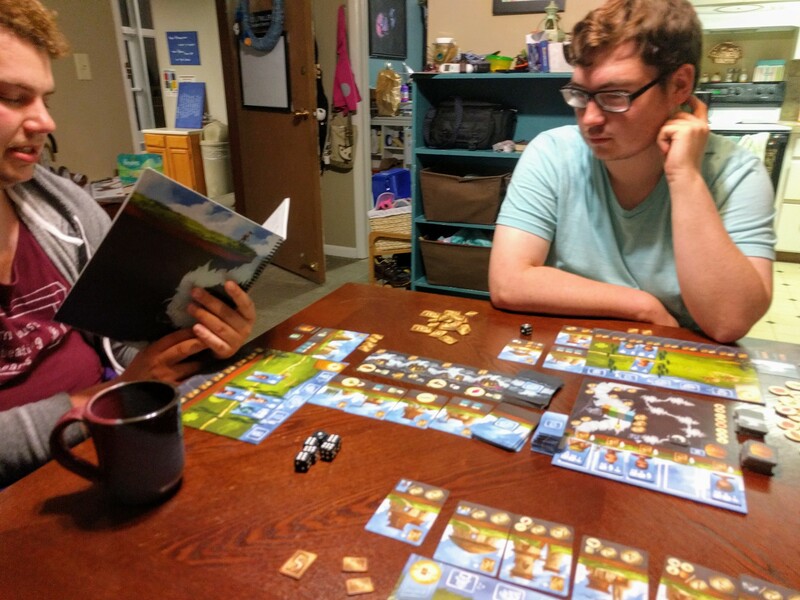 Survive has just enough interesting decisions to be a good family game, but with plenty of randomness to either make your kids cry in defeat or give them the opportunity to catch up to an adult. On top of all that, it plays in 45 minutes or less with a couple games of experience, and is an incredibly beautiful title.